1) Hot trumps cold. Get a blanket, put on a parka, turn on your side of the mattress cover, but don’t touch my ceiling fan. 2) If you turn off the alarm instead of hitting the snooze button, you forfeit the right to get back into bed. Come back and wake me up in nine minutes. If I hit you on the head, don’t take it personally. Understand that you have become my snooze button. I don't want to. I have to. So keep the elbows to yourself. 4) The size of your pillow does not dictate the amount of mattress real estate you are allowed to occupy. In winter, mattress division will be 50/50. In summer 70/30, my favor. See #1. 5) For the safety of all involved, if the temperature outdoors is above 50 degrees Fahrenheit and chili was served for dinner, all bedroom windows must remain open the entire night. If you are cold, you are welcome to add more covers. Just try not to ruffle them too much. Sorry about that. 6) It is inadvisable to look directly at your mate upon waking. Leave your glasses on the nightstand until I have time to put a bag over my head. Keep the magic alive. If you ignore all other advice, just remember to avoid direct eye contact. Taking photos to post on Facebook will not be tolerated. Avoid the eyes, bring coffee, put down the camera. photo credits: wikipedia, because my husband is a wise, wise man and abides by rule #6 as though his life depended on it. Which interestingly enough, it does. Sometimes I have to. For no good reason at all. #1 – my husband is the one who loves the ceiling fan – I just tell him not to be bummed when my flannel pi’s come out of the closet. #2 – I hit snooze once then turn it off – if he turns his off after that point – not my problem. #3 – I got Saturday and he has Sundays – we learned to make a routine early as I didn’t take nicely to the elbow poke either. #5 – We only serve chili on weekends as my husband will then reside on the couch that night. I don’t want to be suffocated by noxious gas in my sleep. #6 – we just don’t usually talk until after coffee. We used to divide our weekends up, but now we go to the early service at church, and I work a lot of overnights on Fridays. One day soon the kids will all be old enough to fend for themselves in the morning! I know – won’t it be nice when mine get that age….I swear – just this morning I got woke up at 4:07 to turn on a second night light, just for my alarm to go off at 4:40 – ugh! Squish got up at 5:20 yesterday. I sent him back to bed! There is a picture of my morning look on Wikipedia??? Someone will pay for this!! I know. I had to take an extra close look to make sure it wasn’t actually me. Nope! Def me on one of my better mornings! Really enjoyed this. Fab little read – so glad its not just me that thinks like this!! Ahem. You haven’t addressed the biggie (perhaps your husband isn’t old enough yet): SNORING. He snores. I don’t. So I don’t get why I must be banished to the couch (or to College Boy’s room when he’s away at school — complete with the creepy teenage-boy decor) because he makes God-awful noise while he sleeps. So, #7) Snorer has to leave the comfort of his bed and be banished to the sofa, not the one who’s snoozing quietly on her very own pillow. Neither of us are snorers. Yet. It is just a matter of time. OMG! Frickin love this list!!! Thing One and Thing Two are 14 and nine. Squish is three. We’re getting closer to sleeping in every single day. There are many reasons why I’d answer the question the same way. This shop is CLOSED! Yes, after you get into the double digits, they begin to realize that there are some things we just can’t change about ourselves, even if we want to. Spoken like someone who knows EXACTLY what I’m talking about! #6 deserves to be written in gold. Number six is the one that should never, ever be forgotten. I feel like we’ve had the Hot Trumps Cold conversation before. I would much rather have a cold room and have to add a blanket than not get to sleep at all because I’m sweltering. In terms of #3: once the kids are over the age of 13 you’re hard pressed to pry them out of bed in the morning with a crowbar. The problem becomes getting them to where they need to be on time…including school. In about 5 more years, we’ll be able to sleep as late as we want. I think. Unless it’s Christmas morning. I love “hot trumps cold” ! Thanks, this gives me a great base to “tweek” – we definately need a rule to address the alarm situation…I use a clock, he uses his phone & has set the most obnoxious noise/ring tone to wake up !!! My husband uses his watch. Which he happens to be wearing, and which always finds itself beside my ear when it goes off. I’m always nice to him. Always. Just stating the rules so he knows. It’s only fair. Oh how I wish I wish this “Hot/Cold” rule existed in our house… That was a very clear line in the sand my wife drew. If it were less nutritious, I’d be inclined to quit making it. I love your rules, they should be printed out and posted on the bedroom door, with Please read before entering. lol. I have a copy at the framers as we speak. With flowers instead of Hong Kong Fooey. 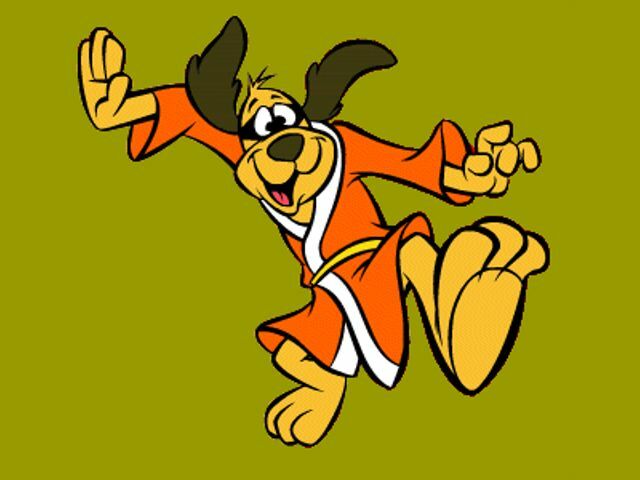 Hong Kong Phooey. Why does his kung fu outfit not have pants like everyone elses? There’s some unwritten law that cartoon characters are adorable and convincing if they are not wearing pants. BC: Love the rules. Most of them made me chuckle and #5 made me LOL because I can truly relate to it with the hubbie and the chilli bowl. Heaven help us! Fun piece! I wish the elbow poke would work on my husband when my toddler wakes up at 5 a.m. I need a piano to fall on my his head to get him to stir even a little. Oh this is GREAT! We did the toddler tussle quite a bit! Don’t hate me, but I never had to play Toddler Poker. Cap’n Firepants is a morning person, so he has always voluntarily gotten up. I know, I’m spoiled. 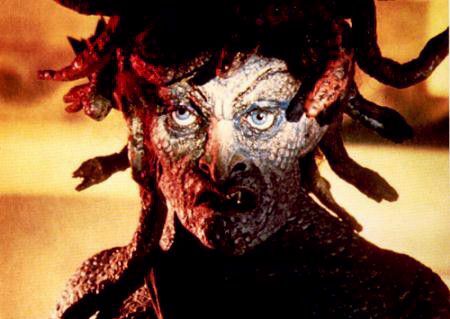 Medusa…. That would be me in the mornings for sure. We play Canine poker now because chaos and mayhem are 19 and 13- but the dogs still want to be let out at 4:30am even on the weekends. Cold trumps hot in my house, Im always cold (renauds). Great post!!! Love the rules, but I am the alarm clock on the weekends! Haven’t used one in years and wake at 4:30 am no matter the time zone. I am sick like that. I usually have that trouble when it’s my one opportunity to sleep in for three weeks. Then I’m wide awake at 5:30. Rules for a happy home! Isn’t love beautiful? This post should be Freshly Pressed. That should pretty much take care of all the gushing I want to do right now. Thanks, Angie! i think I would have to sacrifice a blog post by the light of a full moon to hit FP again, but I’m willing to do what it takes! He turned off the fan last night. I am not sure where to go from here. I have pretty tight tabs on my celing fan remote too! The remote keeps mysteriously disappearing. And I wake up suffocating.